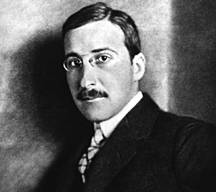 Stefan Zweig was a prolific Austrian author of novels, short stories, plays and biographies. He was born into a wealthy Jewish family in Vienna in November 1881 and committed suicide in Petrópolis, Brazil, in February 1942. The aspect of Nietzsche that appealed most to Zweig was his so-called “Dionysian” spirit. Zweig’s examination of Nietzsche in The Struggle with the Daemon was, as he acknowledged, not so much a biography as a portrait of a life as “a tragedy of the spirit, as a work of dramatic art.” It was “the fact that his daimonic nature was given free reign,” despite the inherent self destructive risk, that appealed to Zweig. This he felt transformed Nietzsche’s destiny into “legendary wonder.” Zweig repeatedly contrasted Nietzsche with Goethe. He suggested that Goethe also had a daimonic spirit, but that he recognised it and kept it under tight control, so that he could “be the ruler of his own destiny.” According to Zweig, as a rule “the thralls of the daimon were torn to pieces,” but Goethe opposed or subdued the “Dionysian disposition,” and “having subdued the daimon, was self-controlled to the end.” For Zweig this made Goethe a less interesting character than Nietzsche. However, in placing the unrestrained Dionysian spirit on a pedestal, Zweig ignored a critical aspect of Nietzsche’s own philosophy. Nietzsche developed a complex vision of two contrasting human drives. According to Nietzsche, the “Apollonian” exemplified the principle of individuation; the distinct, well ordered, disciplined, coldly logical, restrained and carefully bounded nature of individual existence. Conversely, the “Dionysian” exemplified the collapse of the principle of individuation: passion, intoxication, ecstasy, primal savagery and the dissolution of the boundaries that keep the individual distinct from nature. Whilst Nietzsche regarded neither the Apollonian nor Dionysian drives as healthy in isolation, he did emphasise the Dionysian spirit as the key to cultural regeneration in The Birth of Tragedy. However, Nietzsche later warned that this Dionysian spirit, though crucially important, should be tempered by the Apollonian. Despite Zweig’s admiration of the Dionysian spirit, his portrait of Nietzsche was not without a measure of equivocation. He suggested in The Struggle with the Daemon that Nietzsche (along with Hölderlin and Kleist) was a thrall, “possessed … by a higher power, the daimonic.” This daimonic nature impelled him “towards danger, immoderation, ecstasy, renunciation, and even self-destruction.” He argued that this spirit enabled his mind to reach new heights but that ultimately it destroyed him. While Zweig admired Nietzsche’s spirit he also recognised the surface reality of his life. Nietzsche worshiped amor fati, happiness and good health. Yet as Zweig showed, the reality was that he was also a lonely man, constantly ill, reliant on tinctures and medicaments, unhappy and timid in his everyday dealings with other people. Zweig’s failure to deploy his pen against fascism and antisemitism can be contrasted with Nietzsche’s success. Nietzsche was ambivalent about Judaism and hostile to Christianity as cultural systems (he regarded both as forms of slave morality), but he was full of praise for Jews qua Jews. For example, in Beyond Good and Evil (§251), he described Jews as “the strongest, toughest, and purest race now living in Europe; they know how to prevail even under the worst conditions,” and he envisaged an important role for Jews in the regeneration of European culture. He stated that “to that end it might be useful and fair to expel the anti-Semitic screamers from the country.” Nietzsche expressed similar sentiments in Human, All-Too-Human (§475) and Daybreak (§205). 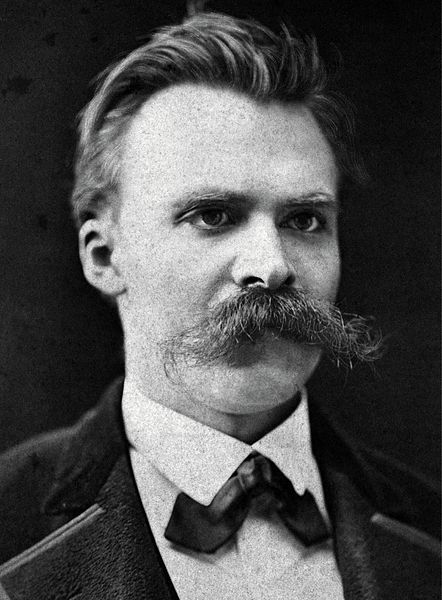 In a letter to his sister around Christmas 1887, Nietzsche stated that he was filled with “ire or melancholy” over her marriage to “an anti-Semitic chief.” He even stated in a letter to Franz Overbeck in January 1889, shortly after the beginning of his psychological breakdown, that he was having all “anti-Semites shot” (see Walter Kaufmann’s The Portable Nietzsche, pp. 456-457, 687). Zweig’s air of superiority over the “average” or “illiterate” man can also be found in his Schachnovelle (1942; published as The Royal Game in 1944 and subsequently as Chess or Chess Story). In this novella, Czentovic, an almost unbeatable chess playing prodigy, is depicted as the antithesis of Zweig’s Dionysian ideal. Czentovic is portrayed as a “half-illiterate” simpleton, “indolent,” “slow-speaking,” “narrow-minded,” with a “vulgar greed,” ignorant “in every field of culture,” unable “to write a single sentence in any language without misspelling a word,” and completely lacking in “imaginative power.” However, eminent intellectuals who were “his superior in brains, imagination, and audacity” all collapsed before his “tough, cold logic.” This depiction of the one dimensional simpleton, a pure Apollonian with no Dionysian spirit, stands in contrast to the tragic culture loving “Dr B.” Dr B is presented as having suffered a prolonged isolation at the hands of the Nazis resulting in a psychological breakdown. Whether consciously or unconsciously, this was clearly based upon Zweig’s perception of his own experience of isolation in Brazil. Dr B, now free from his isolation in the hotel room, challenges and at first manages to defeat the chess prodigy, but Czentovic adapts to his new opponent. Recognizing Dr B’s psychological fragility, he adopts an infuriating slow pace in order to break him. In the rematch, Dr B is not only defeated but driven to the brink of madness by Czentovic’s relentless but snail paced logic. Dr B’s Dionysian spirit is crushed by the cold Apollonian logic and brutal psychology of his supposedly inferior opponent. Zweig’s so-called “humane approach,” which privileged those with an artistic spirit over the “illiterate” and “average” person, had more than a passing resemblance to Nietzsche’s portrayal of “noble” benevolence. In On the Genealogy of Morals (bk I, §10-11), Nietzsche expressed admiration for the “nobility” who employ “benevolent nuances” in their dealings with the so-called “lower orders”. According to Nietzsche, these lower orders are driven by the “venomous eye of ressentiment.” Zweig similarly suggested that the “average man” was “under the spell of hatred.” Conversely, they both believed that the so-called noble man, with his Dionysian artistic spirit, is able to consider those unlike him with a benign forbearance, as merely “bad” rather than “evil.” Zweig’s intoxication with freedom, his consistent dissolution of the boundaries between art and life, and his compassionate but disdainfully patronising attitude towards so-called “average” people, does seem to fit with Nietzsche’s Dionysian ideal, though crucially he ignored Nietzsche’s later observation that it was dangerous not to temper it with Apollonian self control. Jacob Golomb argued in “Stefan Zweig: The Jewish Tragedy of a Nietzschean ‘Free Spirit’” that Zweig’s suicide was the result of “his indefatigable determination to subsist all his life as a ‘pure’ Nietzschean.” Golomb observes that “speaking of Nietzsche’s aversion to pity, Zweig continues to refer to him as to ‘the most brilliant man of the last century.’” However, Zweig in fact developed an ambivalent rather than purist attitude towards Nietzsche. The short extract, “the most brilliant man of the last century,” is found in his novel Beware of Pity (1939). The full passage from this novel reveals an abhorrence to Nietzsche’s aversion to pity rather than, as Golomb implies, a sympathy for it: “But you’ll never get me to utter the word ‘incurable.’ Never! I know that it is to the most brilliant man of the last century, Nietzsche, that we owe the horrible aphorism: a doctor should never try to cure the incurable. But that is about the most fallacious proposition of all the paradoxical and dangerous propositions he propounded. The exact opposite is the truth.” Unlike Dr. Condor, the character in the novel that articulates this sentiment, Zweig did not have the emotional resources to attempt to cure the incurable. This does not demonstrate, as Golomb suggests, the “bankruptcy of the existential stance of a Jewish ‘free spirit’” – but simply that Stefan Zweig lacked, like many other people of his time, the resilience necessary to deal with the catastrophe occurring in Europe. One reason for this weakness was the emotional scars he carried from the First World War. One moment Europe had been in a golden age of progress and the next it was falling apart. Zweig’s previously unflinching faith in a supra-national Europe crumbled as a consequence. In Schachnovelle, Zweig contrasted Dr B’s isolation, forced by the Nazis to remain in a comfortable but plain hotel room for months at end with only a clandestinely hidden book of chess solutions to entertain him, with that of Jews who suffered physically in concentration camps. This comparison (in which he suggested that Dr B’s fate was worse) would seem to reveal Zweig’s inability to truly confront or understand the horrors that Jews were facing in Europe during the early 1940s. However, when Zweig wrote this novella, he, like Dr B, was on the brink of a psychological break. Shortly thereafter he committed suicide (and the novella was published posthumously). His alter-ego, Dr B, surmised that the Jews in the concentration camps at least “have seen faces, would have had space, a tree, a star, something, anything, to stare at, while here everything stood before one unchangeably the same, always the same, maddeningly the same.” Like Dr B, Zweig was unable to cope with his sense of isolation. Zweig managed to escape the Nazi plague spreading across Europe and ended up in Brazil in August 1940 (two years prior to the publication of Schachnovelle). According to Friderike Zweig (by this point Stefan’s ex-wife), he wrote to her to inform her that “the landscape was indescribably beautiful, the people charming, Europe and the war more remote.” He stated that “with a good library, life here could be very pleasant.” He expressed a similar sentiment in Brazil: A Land of the Future. According to Zweig, “the European arrogance which I had brought with me as so much superfluous luggage vanished with astonishing rapidity. I knew I had looked into the future of our world.” However, the “supposedly fairy-like Petrópolis” provided only a temporary respite. He felt guilt about the fate of the Jews he had left behind. He also felt a crushing sense of isolation. His attempts to overcome these feelings through his usual solution, the creation of uplifting literary works, failed. Like Nietzsche, Zweig was ultimately torn to pieces by his struggle with the Daemon. When he could endure these feelings no longer, he committed suicide. Golomb, Jacob. ‘Stefan Zweig: The Jewish Tragedy of a Nietzschean “Free Spirit”’, in Jacob Golomb (ed. ), Nietzsche and the Austrian Culture (Vienna: WUV, 2004). Nietzsche, Friedrich. “The Birth of Tragedy,” “Beyond Good and Evil” and “On the Genealogy of Morals,” in Walter Kaufmann, ed., The Basic Writings of Nietzsche (New York: The Modern Library, 2000). Nietzsche, Friedrich. Daybreak: Thoughts on the Prejudices of Morality (trans. R. J. Hollingdale; Cambridge: Cambridge University Press, 1982). Nietzsche, Friedrich. Extracts from “Human, All-Too-Human” and various letters, in Walter Kaufmann, ed., The Portable Nietzsche (London: Penguin Books, 1976). Prater, Donald A. European of Yesterday: A Biography of Stefan Zweig (Oxford: Clarendon Press, 1972). Zweig, Friderike. Stefan Zweig (trans. Erna McArthur; London: W.H. Allen, 1946). Zweig, Stefan. Beware of Pity (trans. Phyllis Blewitt and Trevor Blewitt; London: Cassell, 1939). Zweig, Stefan. Brazil: A Land of the Future (trans. Andrew St. James; London: Cassell, 1942). Zweig, Stefan. Erasmus (trans. Eden Paul and Cedar Paul; London: Cassell, 1934). Zweig, Stefan. Hölderlin, Kleist, and Nietzsche: The Struggle with the Daemon (London: Transaction Publishers, 2010). Originally published as Der Kampf mit dem Dämon in 1939. Zweig, Stefan. The Royal Game (trans. B. W. Huebsch; London: Cassell, 1944). Originally published as Schachnovelle (Chess Story) in 1942. Zweig, Stefan. The World of Yesterday (London: University of Nebraska Press, 1964). Originally published in 1943. Zweig started writing this volume in the early 1930s and sent it to his publisher the day before he and his second wife committed suicide. By Simon in Antisemitism, Jewish Authors, Nietzsche, Stefan Zweig on December 29, 2013 . Thank you for introducing me to some completely new ideals and personalities Simon. I’m learning a lot from you!